Experience the unique music of Ēriks Ešenvalds with his recently composed oratorio, Passion and Resurrection, and enjoy a rare performance of a remarkable 18th-century setting of the Stabat Mater by Emanuele D’Astorga. 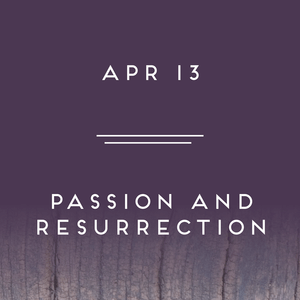 Our final concert of the season, on the eve of Palm Sunday, presents one of the most haunting and compelling oratorios written in the 21st century—Passion and Resurrection—by the living Latvian composer Ešenvalds. This fresh-sounding work, beautifully scored for soprano solo, solo quartet, chorus, and strings, reimagines the Passion narrative in a kaleidoscopic way, from the point of view of Mary Magdalen, to expresses the humanity of the story. We pair it with a gem from the early 18th century by the Spanish/Sicilian composer Emanuele D’Astorga. Alternating elegant choruses with expressive solos in the Baroque operatic style, his gorgeous Stabat Mater rivals that of his contemporary, Pergolesi.